“Weird” is an excellent description. 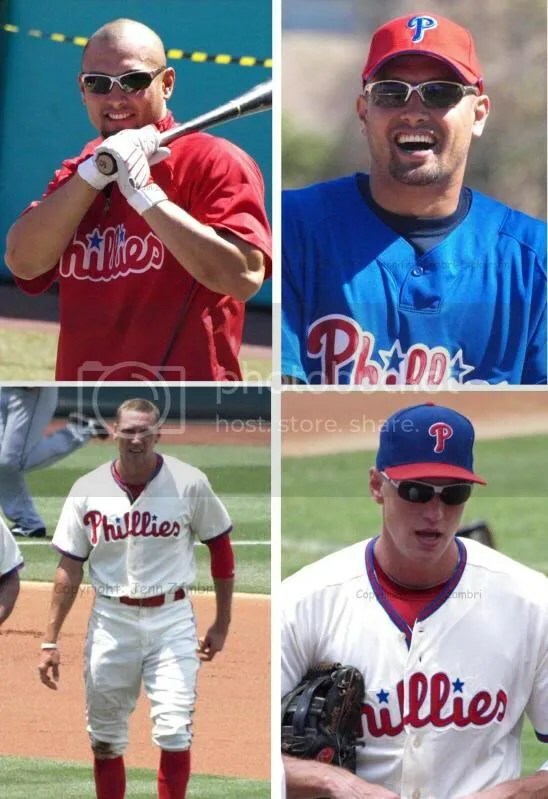 Everyone expected major change because of this backwards Phillies season, but it is still strange to see a guy like Shane Victorino in another uniform after being such an integral part of this team for so long. He was indeed the “personality” of the team as well during their better days; loose, fun and fiery. Shane was also open, honest and easily approachable, something many fans really appreciated. I had the great pleasure of spending time with him and his wife Melissa on several Phillies Cruise’s and can tell you they are wonderful, generous people. I wish Shane and his family all the best; they will be missed. As for Hunter Pence, his energy will be missed. But honestly, I won’t miss his free-swinging and awkward plate approach; it totally stressed me out! But I am sure he will be a big help to the Giants; best of luck to him! So what did the Phillies really get in return for all these moves? Well first, they dumped some salary which will help keep them under the luxury tax this year. They also got 5 new players; 2 major leaguers and 3 prospects. The 2 major leaguers who will join the Phillies today are right-handed relief pitcher Josh Lindblom and outfielder Nate Schierholtz. Lindblom has a 3.02 ERA in 48 games this year and should be able to help out the bullpen right away. Schierholtz is a platoon player and lifetime .270 hitter. He will be a huge defensive upgrade over Pence, but an offensive downgrade. The 3 prospects are right-handed relief pitcher Ethan Martin, catcher Tommy Joseph and right-hander Seth Rosin. Martin was the #7 prospect in the Dodgers top 20 and a former 1st round pick. He is probably a few years away from the majors. Joseph is an interesting prospect; he was #5 in the Giants top 20 and a 2012 Futures Gamer. He is highly touted as a power-hitting run producer with a strong arm. He will likely either take over for Carlos Ruiz after the 2013 season or be used as trade bait in the off-season. Ruben Amaro Jr. has already gotten calls from other teams about him. And finally, Rosin was #19 in the Giants top 20 with a fastball in the mid-to-upper 90’s. He has a 4.31 ERA so far this season. These are obviously not mind-blowing pick-ups, but Amaro seems to have gotten as much as would be expected by these moves. So now we get to see if Domonic Brown and John Mayberry Jr. have what it takes to be everyday players. 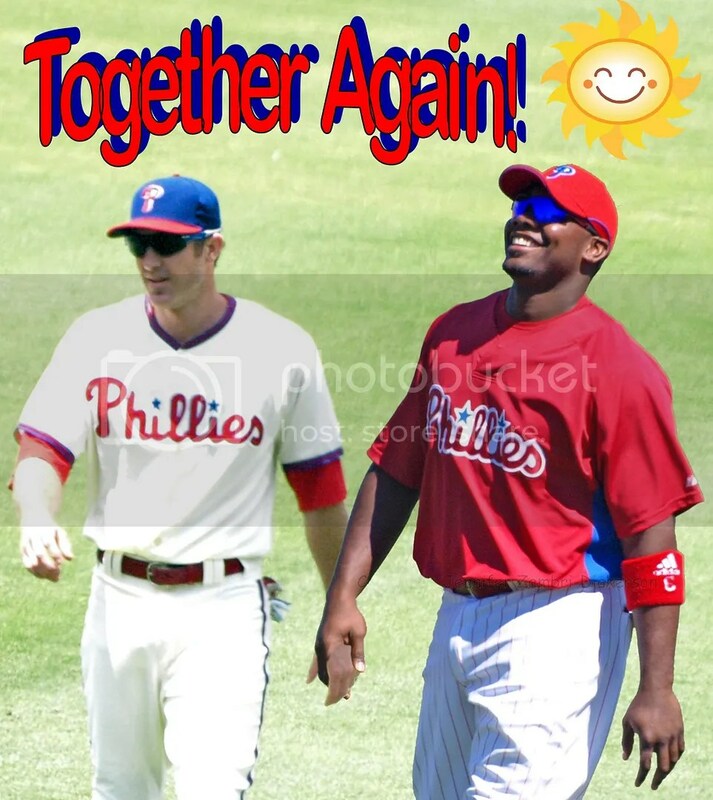 How these 2 guys play will determine many off-season moves for the Phillies. In the meantime, this team still will keep on playing. Oddly enough, yesterday’s moves seem to have given the Phillies a little spark as they routed the 1st place Nationals 8-0. Now that the pressure is off and they are not expected to climb out of this huge hole, we may see some better baseball. Mayberry looked like a new man last night with 2 hits and a walk. New Phillie Kevin Fransden played amazing defense at 3rd base and whacked a 2-run homer. And Juan Pierre had 3 hits, although that is not unusual for him. But the most exciting play of the game was a 2-run inside-the-park homer from Jimmy Rollins. He sped around the bases so fast, he scored standing. All of a sudden, the Phillies had everything working. Even the pitching was going well as Cliff Lee finally notched his 2nd win of the year with 7 scoreless innings. Now that is the Lee we have been missing lately. So here are the new Phillies…for now. Wouldn’t it be nice if, just for spite, they could sweep the Nationals? Ok, maybe I am dreaming…but still hoping for better baseball ahead! In an odd twist of fate, Shane Victorino was sent back to the team that rejected him…twice. In 2002 and 2005, the Dodgers placed Victorino in the Rule 5 draft; the Phillies finally gave him a shot by selecting him in the 2005 draft. In exchange, the Phillies got right-handed relief pitcher Josh Lindblom (pronounced Lind-bloom) and Double-A right-handed relief pitcher Ethan Martin. The second trade involved sending Hunter Pence to the Giants in exchange for catching prospect Tommy Joseph, outfielder Nate Schierholtz and Class A right-hander Seth Rosin. Domonic Brown was recalled from Triple-A Lehigh Valley and back-up catcher Brian Schneider was activated off the DL to fill the spots for now. I will have my reaction sometime later while I take time to digest the moves. I can tell you it is a little sad to see these guys go, but after the year this team has had, it was expected. In fact most of this previously lame Phillies squad is back off the DL and as a result, they are starting to turn things around. Last night’s walk-off win was the second in row for the Phillies and also their first comeback win when trailing after 8 innings this season. Prior to this, they were 0-42 when losing after 8 innings. This game began in a very odd way though. Roy Halladay was not his normal, studley self. He gave up 2 runs in the first inning before Howard and Utley countered with their solo blasts. Even stranger was what happened to Shane Victorino before those home runs. Ex-Phillies pitcher Randy Wolf hit Victorino in the funny bone with a pitch; because he turned his shoulder to in an attempt to get out of the way, the 1st base umpire apparently got confused and called him out on strikes. Replay showed that Victorino came nowhere near to swinging at the pitch. Both Victorino, in obvious pain, and manager Charlie Manuel argued his case to no avail. Once again, an idiot umpire would cost the Phillies a base runner and, after the homers, it cost them an extra run. Even worse, Victorino’s hand went numb after the hit to the elbow and he had to be removed from the game. He says he is fine now and should be able to play tonight; the ball just struck a nerve in the wrong place. The umpire idiocy did not end there either. Howard’s obvious solo shot was initially ruled a double after the ball bounced back onto the field out of the left field flower beds. They had to go to replay to get the call overturned. But it was quite apparent to the naked eye that the ball left the yard. I guess the umpire went temporarily blind; an affliction which seems to be contagious. And all that happened in the first inning. By the 4th inning, things were getting out of hand as Halladay continued to self-destruct and allowed 4 more runs for a 6-2 Phillies deficit. But for the second day in a row, the bullpen came through and held the score there. And that set up the Phillies 1st comeback win after 8 innings all season long. With 1 out in the 9th, the Phillies were still 4 runs behind and down to their final 2 outs when suddenly, the clock turned backwards again. The Phillies offense began channeling their 2008 selves. 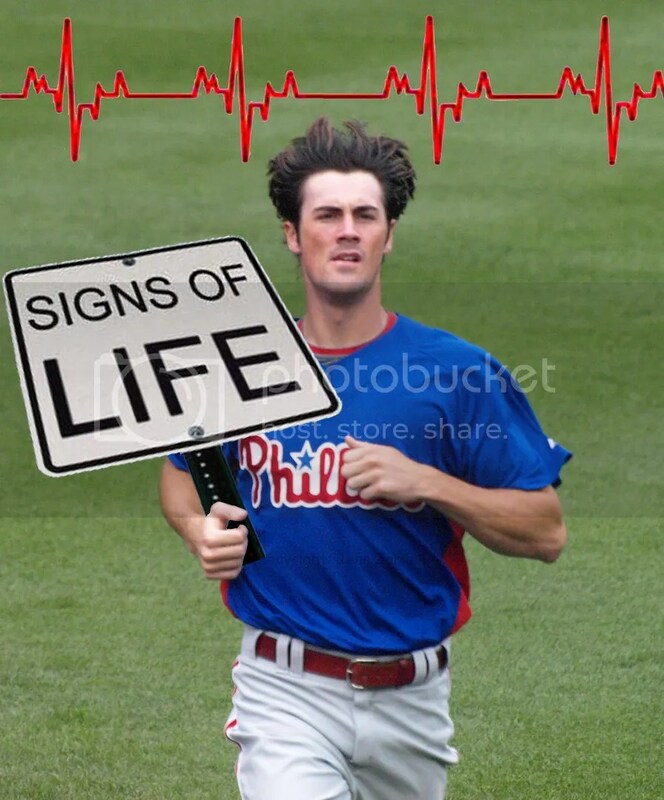 Jimmy Rollins drew a walk followed by a Juan Pierre single. Utley walked; Howard singled in 2 runs; Carlos Ruiz singled in another and Hunter Pence followed with another walk. 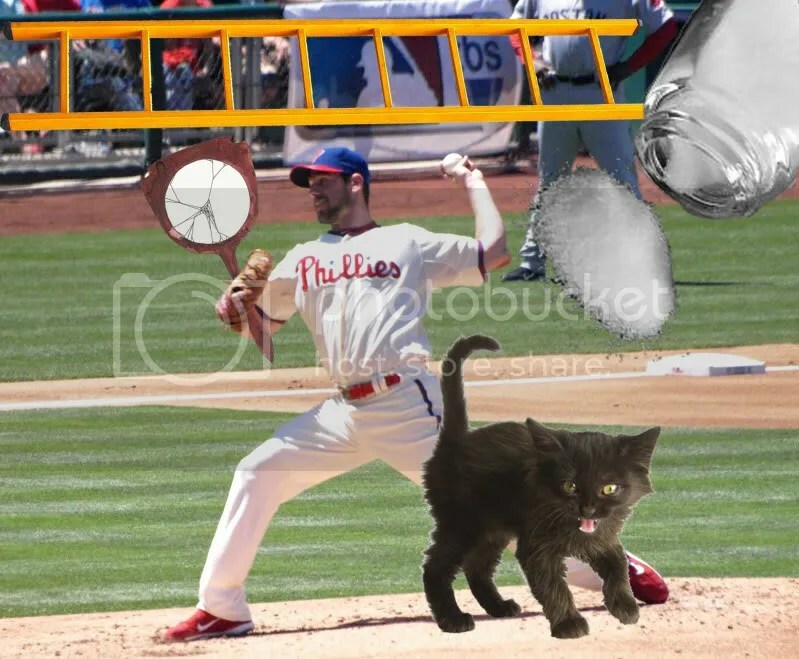 With still only 1 out in the inning and a man on third, all the Phillies needed was a sac fly. Most of the year, the Phillies have been unable to accomplish this seemingly routine task. But on this throwback night, Ty Wigginton summoned his inner super-Wigginess and sent a line drive to left which scored pinch-runner Erik Kratz. My mother had a saying: “If not for bad luck, you would not have any luck at all.” I am sorry to say that I now need to pass that sentiment down to Phillies pitcher Cliff Lee. Can this poor guy get a break already? Lee’s misfortunes have certainly not all been out of his own control. But it does seem like whenever he is on top of his game, the rest of the team lets him down. Did he spill the salt? Break a mirror? Walk under a ladder? Or did a black cat cross his path? Whatever is causing the bad mojo seriously needs to stop. Lee went 8 innings against the Dodgers allowing only 2 hits and 1 run on a solo homer that probably should have been caught. And he would have kept pitching if his team had scored more than 1 run for him. But he had to be pulled for a pinch hitter. In a game that wound up going 12 innings, the Phillies basically lost it in that first inning when John Mayberry Jr. failed to utilize his 6’6” frame to reach up and catch that home run ball which barely made it over the fence. Because the way Lee was pitching, he would have easily pitched all 9 innings and had a 1-0 win. Instead, the game went to extra innings. And although it took them until the 10th inning, the offense finally scored some runs. The Dodgers walked the bases loaded and then Hunter Pence came through with a clutch hit for the 2nd day in a row. That singled scored 2 runs and gave the Phillies a 3-1 lead with their closer ready to come in for the bottom of the 10th. But pitching for his 3rd consecutive day for the 1st time all year, Jonathan Papelbon could not get the job done. He gave up 2 runs allowing the Dodgers to tie the game again. This was a huge blow to the team, especially coming from a guy getting paid $50 million. This was Papelbon’s 3rd blown save of the year; all 3 occurred in the last 7 games that he had save opportunities. Having depleted their bullpen to get this far in the game, the Phillies were left with few options. By the time the 12th rolled around, rookie Jake Diekman was forced into a second inning of work and he finally gave up a 2-run homer to hand the game to the Dodgers. Diekman is not to blame though; it was unfortunate he had to be put into that situation. So another great performance from Lee was wasted in this 5-3 loss. 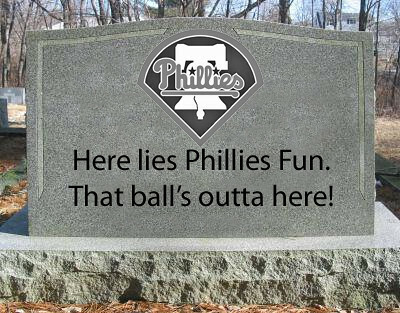 The good news is that, despite this loss, the Phillies have won 2 series in a row. They have an off-day today and will return Friday to face the Giants at home.